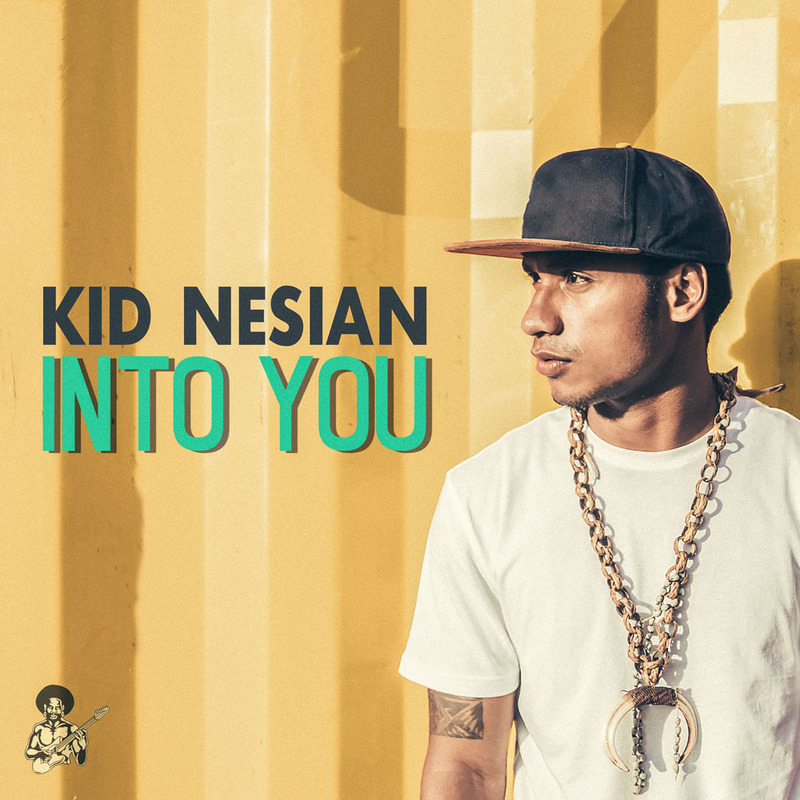 Fresh off the success of his recent song “Lalomu” featuring dancehall star Chi Ching Ching from Jamaica, Kid Nesian, the fast rising island reggae singer from Papua New Guinea, is getting ready for the debut of his next single “Into You”. Kid Nesian initially caught attention as a 16 year old when he snuck on to the reality TV singing show Digicel Stars as an under-aged contestant and stormed his way to 2nd place in the Grand Final. After taking some time off to finish school, he broke back out onto the scene again last year with his breakthrough single “Stap Wantaim Yu”. Since then his songs have hit no.1 on the Pacific Top 20 Charts, have charted in the Top 10 of the Australian Top 25 Reggae Charts, have received airplay from Reggae radio stations in the US, Europe, Latin America and have dominated radio stations around the South Pacific. He’s also recently signed on to be the official brand ambassador for Wexler Electronics and mini-brand ambassador for Sprite. His newest track gives his fans the one thing they miss the most this time of the year – summertime vibes. ‘Into You’ is a fresh Pop/RnB Reggae track that will have you feeling those feel-good vibes that are perfect for a relaxing day on the beach with your significant other. The song is about a guy in love with a girl out of his league, as Kid Nesian explains “Back where I’m from, city girls don’t date local boys. Local boys might not have fancy cars but they still got plenty to offer. This song is for all them local boys out there”. The song will be released worldwide on Fri 29th June 2018 and will be available on all major music platforms.